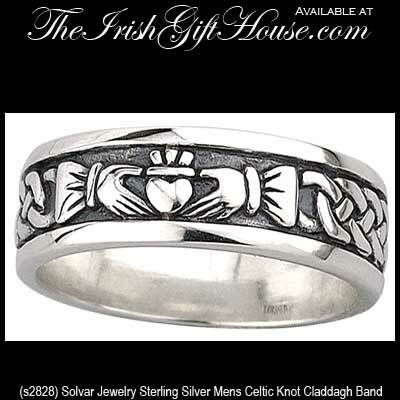 This sterling silver Claddagh wedding ring for men features an oxidized background along with an embossed Celtic eternity knot around the band. This Claddagh wedding band is a heavy weight design that measures 3/8” wide. 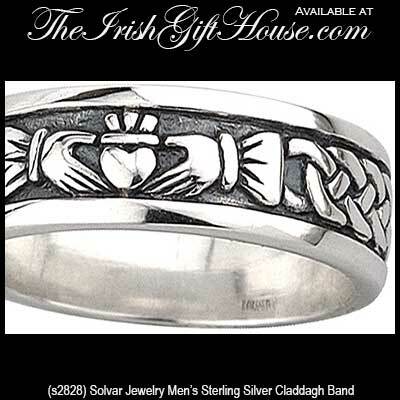 This Claddagh wedding ring is available in sizes 8 through 13.